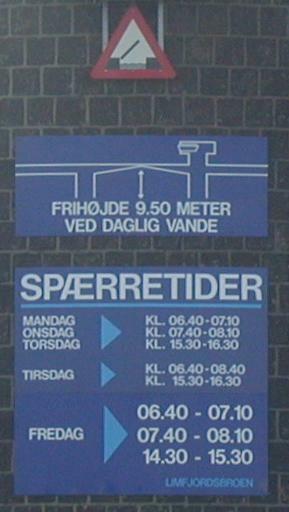 Arriving from WEST-side via THYBORØN, max draft in Thyborøn canal is 4,0mtr - and PILOTAGE is compulsory through ODDESUND-bridge only. There are no lights between Aalborg and Løgstør. Skive Shipping acts as Harbour Master in all daily routines.